Hi PlayStation.Blog! This is Guillaume from Cyanide, and I’d like to introduce to you the nimble assassination skills found in our infiltration game coming this October to PS4, Styx: Master of Shadows, showcased with our new tongue-in-cheek “Assassin’s Green” trailer. 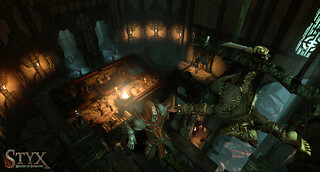 Styx: Master of Shadows has a unique verticality that is ample throughout the gallows, alleys, courtyards and winding halls within the Tower of Akenash, and once you’ve mastered the skills at your disposal, a good player will be able to flow through the levels remaining undetected, carrying off awesome feats of stealthy murder. Scale and prowl through the expansive and mysterious home of the World Tree, either subverting the guards, or quietly and invisibly disposing of them. 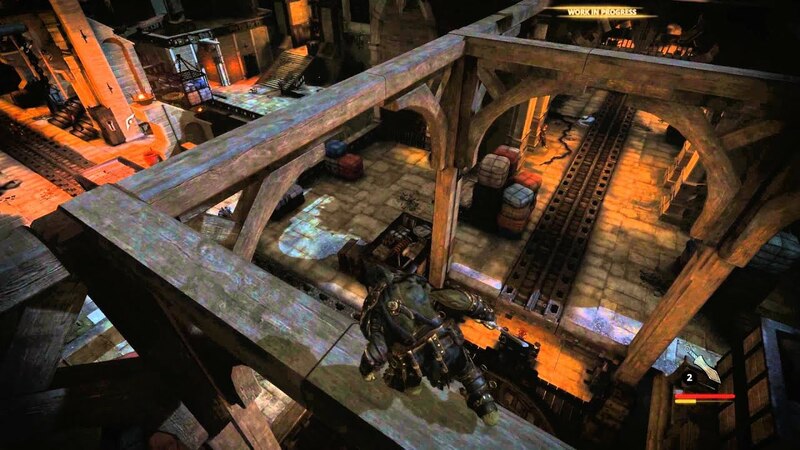 Today’s gameplay video illustrates some of the Goblin’s skills, as he uses his stealth, weaponry, bold moves and smart use of the environment to get rid of the tower’s denizens. Skill is richly rewarded in Styx: Master of Shadows, with the most skilled of players able to swing organically from level to level, path to path, unseen by foes guarding the way. Armed only with his trusted dagger, and very few throwing knives for dealing with “long-range” encounters, Styx relies more on his small scale and nimble athleticism to subvert those who seek to kill him. Remain aware, and use the environment to your advantage, and you’ll soon be able to dispatch the humans and elves, whilst remaining unseen. Push people off ledges, pull them by their legs to the gallows, or leap from huge heights to slit their throats or stab them from their shoulders. Smother them silently, swing around from behind, or thrust throwing daggers into their skulls. Drop crates onto the toughest of enemies, or poison their drinking water. As violent as he is cunning, Styx’ best friend is his knife, and the shadows. Most will survive with a slow pace and a keen eye, but do you have what it takes to become the most efficient Goblin infiltrator? Styx: Master of Shadows launches on PS4 this October. This game looks really cool. I always wished that i could jump like that in assassins creed, the high arc makes pinpoint falling way easier i bet. Mostly excited about the story on this one. Whats the MSRP? Looks really interesting. Can’t wait to see more of this. this game looks pretty good. reminds me of assassins creed/dishonored but not in a bad way and it’s coming out in october? sweet. Looks very interesting, probably will be Day One if it runs at 1080p@60fps ? I am very impressed, this is definitely on my radar. How long is the campaign? What is the price? Looks great, cannot wait to learn more. Shadow of Mordor and this look like they would compliment each other very well. Well done! Some of the worst voice acting I’ve ever heard. As in the words of Hakha, “Most impressive!” Is this going to be a digital title? If so, it looks phenomenal. Styx the assassin from the game: Of orcs and men . that was an interesting game. Now they have styx coming to the ps4? I’m all in. 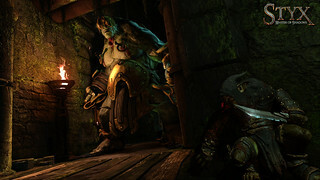 I’ll be interested in this, I wasn’t a fan of Of orcs and men but I’ll do my research because I haven’t played a good stealth game in a long time! This looks like it’s everything Assassin’s Creed wants to be but fails to be. This game does look very good, it’s literally the only game even tempting me to get a ps4, but I have a massive backlog so it can wait. Stealth games can really showcase the advanced graphics of a system by requiring the player to move slowly while drinking in the detail, lighting, atmosphere, etc. I hope this one will push the PS4 to its limits. Wow I’m impressed how nimble the assassin is… looks very cool. Can call me sadistic if you like but there is something alluring about stealth kills that draws me in. Needless to say this is a must buy for me. Wow is this Assassin’s Thief or do we call it Thief’s Creed? I am liking what I see. Seems like there could be a little more refining of some bits but I will absolutely buy this game… just depends on when since my hands will be tied to my Destiny for a while.